It is with heavy hearts that we share the sad news that our dear friend and colleague, Commissioner Paul D.K. Fraser, Q.C. died on March 29, 2019, after a brief illness. Mr. Fraser was serving his third term as the Province’s Conflict of Interest Commissioner, a role that he was proud and honoured to commence on January 1, 2008. For over a decade, Members of the Legislative Assembly of British Columbia relied on his wise counsel and appreciated his guidance and sound advice. He will be remembered not only for his wisdom and professionalism, but for his warmth, generosity of spirit, sense of humour and joie de vivre. Prior to his appointment as Commissioner, Mr. Fraser had a distinguished legal career. He practiced law in Vancouver for many years as litigation counsel in both civil and criminal matters and was a partner in the national law firm, Fraser, Milner, Casgrain LLP. 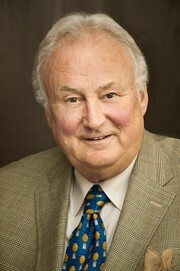 He was appointed Queen’s Counsel in 1982 and was selected as a fellow of the American College of Trial Lawyers in 1991. He held various elected offices in the legal profession, including National President of the Canadian Bar Association, President of the Commonwealth Lawyers Association, and President of the Canadian Section of the International Commission of Jurists. His public law activities included chairing two Federal Commissions and an Industrial Inquiry. He had been Special Counsel to the Minister of Foreign Affairs, had been appointed as special prosecutor in British Columbia with respect to six different and significant investigations, and gave advice on various occasions to parliamentary committees of the House of Commons and the Senate of Canada. He also served as a senior adjudicator in the Indian Residential School ADR Process and acted as the Chair of the Tsawwassen First Nation Judicial Council. His private career appointments included serving as a member of the Board of Directors of the Canadian Broadcasting Corporation, VIA Rail Inc., CUSO International, and the University of Winnipeg Foundation and the Board of Trustees of the Canadian Foundation for Legal Research. Mr. Fraser will be greatly missed by his many friends and colleagues in Victoria and across the country, and especially by his loving family to whom he was devoted. The mandate of the Office of the Conflict of Interest Commissioner is to promote public confidence in elected public officials as they conduct public business. The Commissioner is an independent officer of the Legislative Assembly of British Columbia, providing advice to Members of the Legislative Assembly concerning their obligations under the Members’ Conflict of Interest Act. The Commissioner also oversees the disclosure process for Members, and reviews allegations of contraventions of the Act.